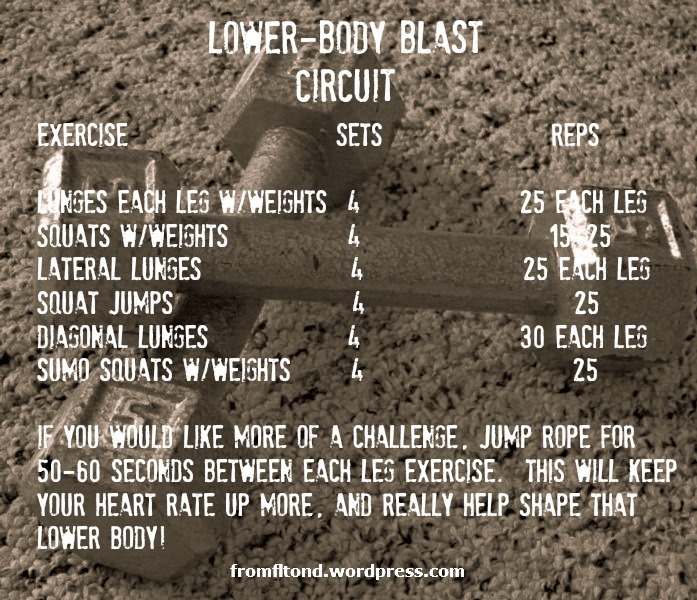 I did jumping jacks in-between each set of leg exercises (not enough room to jump rope in our basement). You could also jump rope in-between each exercise too (I do this if I’m at the gym). If you are a beginner you may want to cut the number of sets back to 3 sets. Remember to stretch afterwards!